Even though the air ducts in your office are hidden from plain sight, it doesn’t mean that you should ignore them completely. There will come a time when the ductwork system will experience problems – usually caused by dirt and other debris – and affect your healthy work environment. If you notice that the vent above your head is layered with dust, it’s probably a sign saying that it needs to be cleaned. The main function of your duct system is to deliver clean air throughout the property, so imagine how the air feels if it’s filled with irritants. Your skin will start getting itchy and breathing becomes a challenge. Plus, people who have asthma or allergies will find it difficult to concentrate on their work. If you aren’t able to clean the system quickly, the environment gradually becomes a serious health hazard. Bacteria and viruses spread quickly, making it easier for people to get sick. Additionally, a pungent odor will constantly linger on the premises, sticking to furniture, walls, and clothing. Cleaning the air ducts gets rid of the unhealthy elements in the air. It also keeps it smelling fresh and clean. If you continuously take care of your ductwork, your indoor air quality and office atmosphere will improve. You may not see any mold or mildew forming around the office, but it’s very likely that they’ve manifested in the duct system. The ductwork makes a perfect breeding ground for these allergens since it also succumbs to condensation and moisture damage. Having the air ducts cleaned once is one way to locate and eliminate these substances. Regular cleaning, however, prevents them from growing in the ducts. Rodents and insects love to take shelter in the air ducts, especially during winter. If the pests start feeling comfortable, they might decide to stay in the system, and that’s a serious problem for your office. These creatures drop their waste all over the ducts, and it mixes with the air you breathe. By cleaning the ductwork, not only will these vermin be taken care of, but their urine, feces, and carcasses will also be removed. Cleaning your air duct is a simple but effective way to keep your property healthy, safe, and clean. However, you can’t always rely on the building’s custodial staff to handle the task. Very few custodians have the experience or knowledge in cleaning ductwork. That’s why, if you want the duct system in your office cleaned, you have to contact a professional cleaning company for help. 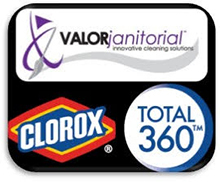 If you’re looking for a commercial cleaning company in Dallas, Texas, contact Valor Janitorial today. We have the experience and the necessary equipment to conduct a full office cleaning, as well as other janitorial services. Our cleaners are licensed, certified, and trained to finish each task with zero mistakes and delays. If you’re interested in our services, call us at 214-238-9550 and our friendly operators will be standing by to help you.